1 - Which application do I fill out? 2 - How will I know if I’m part of the festival? 3 - How long are band performances? 4 - What if I have time limitations on the festival or rain date? 5 - As a porch host, should I be serving food/drink? 6 - I have other questions, who can I contact? Question 1: Which application do I fill out? Question 2: How will I know if I’m part of the festival? 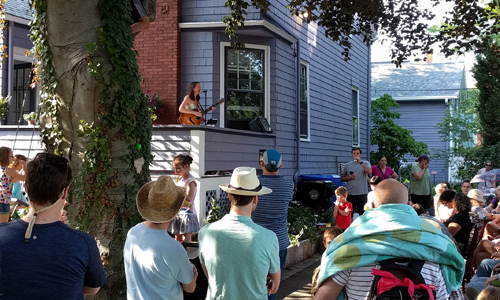 Applicants will receive a confirmation of their timing & pairing for Brookline Porchfest 2019 on May 11. We ask that all applicants reserve the festival date (June 8), and the rain date (June 15) while we put together the official schedule. We’ll reach out to you if we have any questions about your application. Feel free to do the same if you have any questions for us. Question 3: How long are band performances? 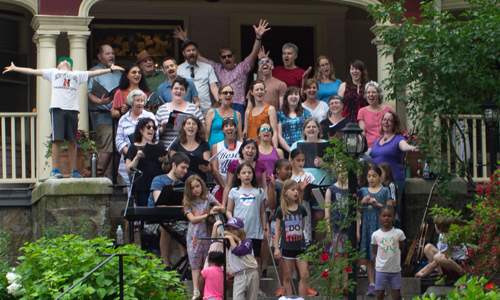 Each porch is limited to 2 hours of music for Brookline Porchfest. Performers are required to have at least 30 minutes of material. Question 4: What if I have time limitations on the festival or rain date? Please let us know if you have any conflicts on either the festival date (June 8), or the rain date (June 15). We’ll use that info to make sure you are scheduled within a time range that makes sense for you. Question 5: As a porch host, should I be serving food/drink? Serving food/drink is optional. If you do offer refreshments, they must be available for EVERYONE. If you would like to have a private party, feel free to schedule it after your scheduled performance time. Question 6: I have other questions, who can I contact? Choose one of the applications below to apply as a PORCH seeking a band, or as a PORCH with a band (just be sure that the band also applies). Choose one of the applications below to apply as a BAND seeking a porch, or as a BAND with a porch (just be sure that the porch owner also applies). Brookline Porchfest needs help with postcard, flyer, lawn sign, & packet distribution. We also could use some help on the day of, with people on the street. If you are interested in volunteering, please fill out the application below. Please help us spread the joy of music in every corner of Brookline! Your sponsorship will ensure that we can continue offering this and other musical programming throughout the year. We have sponsorship opportunities ranging from $250 to $5,000. This is a great way to reach not only the 1500 neighbors who participate in Porchfest but also many other Brookline residents who see our materials around town. If you are interested in a sponsorship opportunity, email us at info@brooklineporchfest.org! We will be in touch to determine the best option for you. 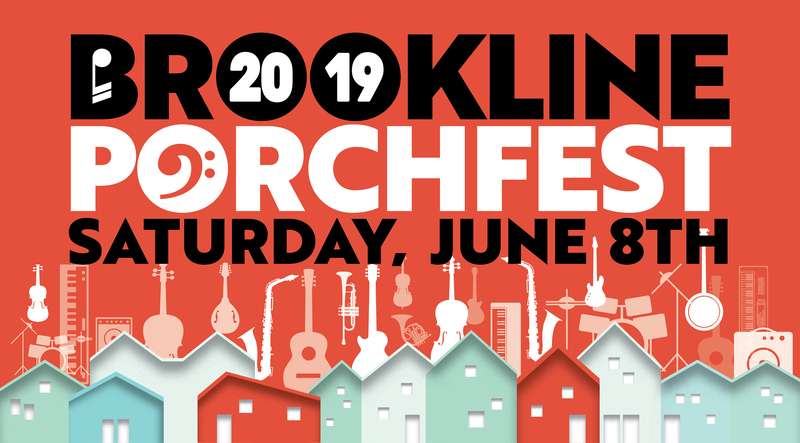 June 8 - Brookline Porchfest 2019! 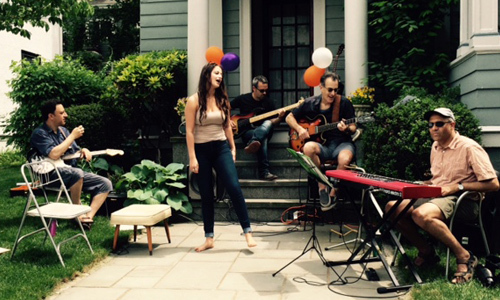 Stay up-to-date with all things Brookline Porchfest.